One of the most common misconceptions about fashion is that high price will fetch high style. But then, think of all those designer dresses that many celebrities wear to red carpet events and yet end up looking disastrous! Yep, you got my hint. There is no dearth of trendy clothing, accessories, footwear, makeup and the likes, which do not cost a bomb and yet contribute in upping your style quotient. Here are some points that will guide you to spend your bucks on some of these products and make you fashion forward. A cocktail dress: A fine cocktail dress has been the saving grace for many women on more events than you can even imagine. They are wearable to proms, corporate dinners, birthday bashes, wedding rehearsal dinner (or the wedding itself) or simply a date. Choose one according to your figure, accessorize it with a statement neckpiece and/or chandeliers and complete your look with high heels. This is surely going to fetch you some compliments or proposals! Funky nail paint: Capture the attention of people around you by sporting funky nail paint. Neon colors are in-trend this season but wait. Wearing them means you are just being a part of the common crowd isn’t it? 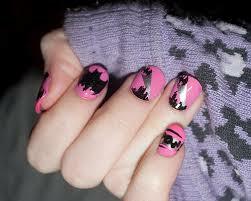 So, why not opt for some quirky nail art that you and you alone possess! Take the initiative and comb various stores to choose some funky nail paint and match them aptly with your outfit. Do the same trick with your lip colour as well, which is to move beyond boring reds and pinks and browns to try something out-of-the-box. Sleeveless jackets: You might wonder that why on earth are sleeveless jackets in this list! Well, first of all, they are one of the most versatile pieces of clothing that you will ever come across and can be combined creatively with almost any outfit under the sun. Secondly, you need not throng high street fashion labels to procure them and buy them from your nearest retail store or shop online for that matter. Wear them with shorts, jeans, skirts or trousers and your style will be invincible. Jeggings: Jeggings – the hybrid outfit that perfectly combines the beauty of denims and comfort of leggings is a winner. Available in a number of colors and styles, they will suit every body type and this is why their popularity in the fashion circuit is on the rise. They can be teamed up with a plain white shirt and some chunky bracelets and boots for a perfect Bohemian look. Alternatively, you can put on a cardigan and slip on your ballerina shoes to look uber cool. Putting it simply – you can think of endless variations of wearing this versatile bottom wear. These are some of the stuff that you need to shop for that surely will complement your looks and put you on the fashion radar no matter where you go. To ensure that these points are effectively implemented, take some time out of your schedule and make a list of all the shopping that you need to do be it a new top, shoes or something really specific like – Jewish head covering.Once you are done with the shopping part, the next step is to experiment with your looks and stand out from the crowd. Cheers to a stylish you!